As we talked about in our previous blog post, technology is transforming agriculture, leading to more robust harvests and greater ROI. In this post, we’ll look at how technology is rapidly changing the horticulture industry. According to a 2018 Greenhouse Grower survey, nearly 70 percent of respondents say they are looking to increase efficiency, while nearly 40 percent intend to increase technology over the next several years. In recent years, startup companies have driven technological advancements. These advances enable greenhouse managers to incorporate sensors into their operation and monitor everything from disease to energy consumption and water use. While greenhouses have been monitoring temperature and soil moisture for years, new sensors, such as the Pointed Microclimate Sensor from 30MHz, a wireless sensor company, can be placed in the soil of each plant. It can monitor and capture temperature, dew point, vapor pressure deficits and humidity levels at the crop level. All of these measurements can be monitored in real time and can help reduce the incidence of plant diseases, determine the energy and water levels needed each plant. More information can be found at Greenhouse Grower. Control Dekk, a control-engineering firm, has created the Oasis system, which places moisture sensors in hanging basket containers. The sensors determine whether the plants are receiving the correct amount of water. To start, operators input a pre-determined weight for each container. As each container is irrigated, the weight is calculated, then sent to a mobile device or PC, allowing the system to calculate the optimal flow rate for watering, eliminating water waste. More information can be found at Greenhouse Grower. Developers from Lumigrow have introduced the SmartPAR Wireless Control System, which has wireless controls to automate lighting zones. 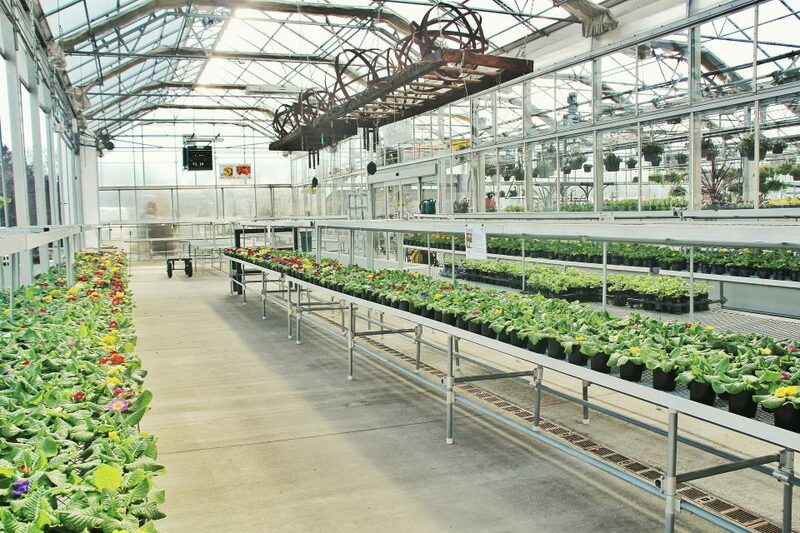 Greenhouse operators can remotely control the lighting zones from their computers or mobile devices to creating customized lighting schedules to optimize production and monitor energy use. More information can be found at Greenhouse Grower. Want to talk more about IoT strategy? Feel free to reach out – mmain@axiomcom.com or rbeachy@axiomcom.com.